LED driver, LED power supply and custom power supplies. 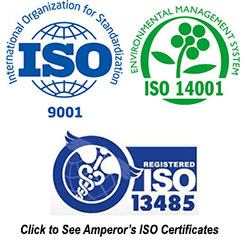 Amperor is one of the most reliable, high quality power supply manufacturer's in the world. From standard products to full custom we can support any power conversion requirement. We are committed to providing our customers innovative and cost effective solutions that insure their success in the high technology marketplace. Working in close partnership with industry leaders like HP, Cisco, Avocent, Siemens, Lexmark, and others, we have developed the technology and products that support a board range of requirements in the data processing, LED, networking, telecom, instrumentation, and computer industries. We have the LED power supply and LED driver families that are suitable to use in the LED signage and LED lighting industries. Our wholly owned manufacturing facilities are state of the art and have been qualified to the highest ISO standards. Our products are designed with efficiency and reliability as the key elements to provide products that have the lowest cost of ownership possible. Amperor has announced the launch of its 150W CC mode LED driver - ANP151. Check out the Product Launch Center for the detailed explanations of the unique features of the product. Amperor LED Driver Selection Guide. How to Make the Most out of Your Class 2 LED Driver. 3 Steps to Improve Your Lighting System Efficiency. Do You Need a UL Recongnized or UL Listed LED Power Supply? US Sign Builders - Stop Thinking about IP66, Start Thinking about UL879.